Would you love to know that the food bringing home and feeding to your family is free from mold, yeast, and fungus? Me too! That’s why I’ve been doing some digging and found out that not all foods are safe! some, “ignorance is bliss!” According to me “Knowledge is Power!” You need to know what is causing your auto-immune, candida, respiratory problems, Epstein bar virus, MS, asthma, allergies, hormone imbalances, blurry vision, brain fog, and weight gain so you can easily and painlessly remedy the situation while watching your health improve daily! The answer to a lot of your health problems could be mold, and knowing where it lives! Most of us know that mold can hide under the floorboards or in the walls of a house or office. This is a big problem and takes some serious work to clean up. Did you know that a seemingly harmless nut, seed, or grain can also be at the root of your health issues? If you are not properly soaking and cleaning them, you are swallowing toxins! These food toxins are also known as mycotoxins. Mycotoxins are toxic chemical products that are produced from molds which grow on agricultural crops. In general, high moisture content, high relative humidity, and warm temperatures enhance mold growth and toxin production. Mycotoxins are natural and inevitable. No bean or crop is without some percentage of them but finding the companies that actively test for mycotoxin content is best. Mycotoxins are relatively harmless to the body on a micro level. It is only when we consume them on a daily basis that they become a problem. That means daily ingestion of poor ‘Starbucks’ quality coffee could have long-term effects on your brain health and increase free radicals which leads to radical premature aging! When you consume foods with mycotoxins, they make their way to the digestive system & sit there for your entire lifetime! Once they’re ingested, they can leach through the intestinal wall and can be absorbed into the bloodstream. Once your system has incorporated the mycotoxin, they can cause systemic yeast or mold. This can lead to inflammation and disease. Corn-Give it your very best effort to stop eating all forms of corn. I know that it is a staple food in America, especially for the gluten-free crowd. But corn is a stored grain and is very high in molds. It is more often than not, a GMO! How about the well-known fact that corn is used to fatten cattle before they are slaughtered. Need another reason to quit? Corn is acid forming and overconsumption leads to illness, weight gain, and disease. Peanuts-These are the moldiest legumes on the planet! Do you wonder why so many people are allergic? It’s the mold and fungus hiding in every crevice. Peanut butter is even worse. What do you think they do with all the ugly broken bits not suitable for bags? That’s right! It gets ground into butter. Same goes for every nut butter on the market. The safe bet? Make your own! Gluten grains-Includes all stored grains. Cashews-never eat these if you have not soaked them for at least 20 minutes in 3% hydrogen peroxide. Rinse well after soaking. Pay attention to how you feel after consuming them for a few days. Do you have mucus, stuffy nose, scratchy throat? These are all symptoms of cashew toxicity. Never, ever eat them straight from the bag (especially from the bulk bin)! I personally eschew cashews and will never eat them again. It’s up to you, but with so many choices of non-mycotoxin foods (like macadamia nuts and so many others), why take the risk? Pistachios– can have higher mycotoxins so just be sure to soak & rinse them well. Oats Groats (not rolled)- can be an exception for a lot of people because they can be gluten free, but most of the time, people feel better when they stop eating grains altogether! I know…crazy right? Rolled oats are not clean and are higher in dust mites, mold and bacteria than the groats which you can soak and rinse easily. Beware of bulk bin granolas which are high in contaminants, sugar, heated oils and salt.It’s better to make your own at home or try our toasted (mycotoxin free) coconut chips! Store bought nut butter: What kinds of nuts become butter? The nasty, dirty broken pieces at the bottom of the barrel which cannot be sold in a nice little package. That’s right! That awesome almond butter you love to spread on your apple could be harboring some serious bad guys! The answer…make your own easily at home. Almonds- soak for 8 hours in a big bowl of water, then rinse well. Add a capful of 3% food grade hydrogen peroxide to the bowl with clean water for 20 minutes. Then drain, rinse and eat, or dehydrate for 24 hours at 115 degrees F or until crunchy and store them in the freezer for up to 6 months. Brazil nuts- these only need a quick 20-minute soak in a bowl of water with a capful of 3% food grade hydrogen peroxide. They don’t contain much bacteria or phytates. Hazelnuts (filberts)- see almonds for how to clean. Macadamia nuts-Depending on where you source your macadamia nuts, these nuts usually don’t need to be soaked very long or at all because they don’t contain enzyme inhibitors. They also lose a lot of fat and flavor if they are soaked too long. I do recommend soaking them at least 20 minutes with a capful of 3% food grade H2O2 and then rinsing well if you are getting them from a non-organic source, or from the bulk bin. If you are not sure about your source, get them from us! We source premium organic Hawaiian Macadam Nuts which makes the best nut cheese, vegan cheesecakes and nut butter fillings for chocolates and more. Sesame seeds- soak for 2 hours in a big bowl of water, then rinse well. Add a capful of 3% food grade hydrogen peroxide to the bowl with clean water for 20 minutes. Then drain, rinse and blend into a hummus or sauce, or dehydrate for 12 hours at 115 degrees F or until crunchy and store them in the freezer (preferably for up to 6 months. Sunflower seeds- Soak for 4 hours in a big bowl of water, then rinse well. Add a capful of 3% food grade hydrogen peroxide to the bowl with clean water for 20 minutes. Then drain, rinse and eat, or dehydrate for 12 hours at 115 degrees F or until crunchy and store them in the freezer for up to 6 months. Pumpkin seeds– soak for 2-4 hours in a big bowl of water, then rinse well. Add a capful of 3% food grade hydrogen peroxide to the bowl with clean water for 20 minutes. Then drain, rinse and eat, or dehydrate for 12 hours at 115 degrees F or until crunchy and store them in the freezer for up to 6 months. Walnuts-soak for 24 hours in a big bowl of water, rinsing every 8 hours. Add a capful of 3% food grade hydrogen peroxide to the bowl with clean water for 20 minutes. Then drain, rinse and eat, or dehydrate for 12 hours at 115 degrees F or until crunchy and store them in the freezer for up to 6 months. Beans- black, pinto, red, adzuki, etc.- I don’t even recommend eating beans as they are high in lectins which can exacerbate autoimmune and leaky gut symptoms, and beans can be hard to digest, so be sure to sprout them until they get a 1/4 inch tail before cooking. Always cook them! Never eat them raw, even if they are sprouted as you need to cook them to make them digestible. Smaller legumes (such as mung beans and lentils)- Soak, sprout and eat. They are usually better if cooked to greatly reduce the lectins. A lot of people who cannot tolerate nuts and beans can digest sprouted lentils more easily. I enjoy sprouted lentils and mung beans on rare occasions eaten raw with some avocado, lemon and cumin. Or cooked into a dahl or curry. I am one of those “canaries in a coal mine” so if something is moldy, I’m the first to react. The usual reactions for me are itchy eyes, an itchy nose, itchy arms, or an irritating tingle up my spine. If I don’t stop eating after the initial signal, then the skin around my eyes and on my fingers will start to break out in an itchy rash which can take days to go away. Coffee and cacao are two products that are also known to be high in mold and mycotoxins. Batches can vary so you cannot always be sure if they are moldy are not. Now there are many companies selling certified mold-free coffee such as Kicking Horse. As for cacao beans, again, each batch is different. I have found Big Tree Farms to be safe for me to eat. The takeaway here is to be aware, stay informed and stick with me! I’ll continue to expose the truth, on this blog, no matter how painful it may seem at the time. If you start following my program of avoiding mycotoxins, yeast, and mold, your attitude and mood and health will greatly improve in a very short amount of time. Want to learn more? 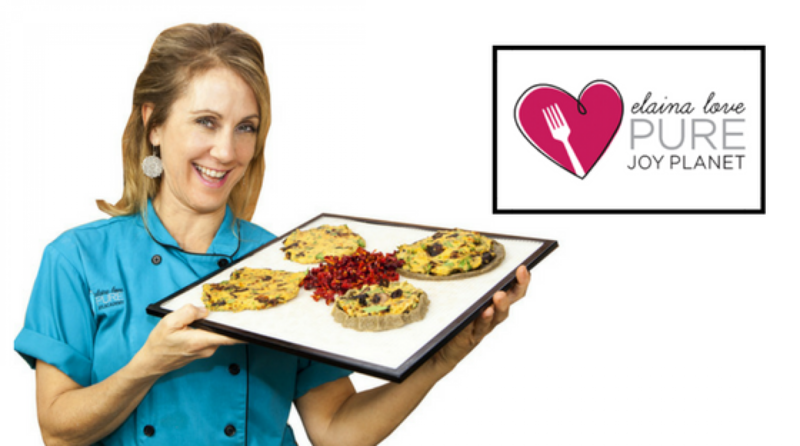 Join our next 4-week mycotoxin-free Love Camp with lessons and recipes for a month! Watch this video to learn how to soak walnuts and other nuts, seeds and grains. This entry was posted in Anti-Aging, Eating Well, Gluten-Free, Low-Glycemic, vegan. Bookmark the permalink. I drink kicking horse exclusively but did not know it is mold free. Where did u get that info and if true , why don’t they advertise it ? Katelyn did a lot of research on it. Let me get the info and post it here soon. Here at the Horse, we have intensive Quality Control procedures including thorough green bean analysis, roasted sampling and independent lab testing. We do our best to ensure we source coffee that is free of Mycotoxins. As well, organoleptic examinations are performed multiple times as our coffee travels through our supply chain. All of our green beans are handpicked and carefully processed at source. We regularly visit the cooperatives where our coffee comes from and collaborate on these quality standards. We’re also fortunate in our location, not only is Invermere B.C. a beautiful setting, but also it is not very humid. With low relative humidity we have a great ability to minimize potential contaminants. For your own curiosity, we regularly send our beans to be analyzed at an independent laboratory and 100% of the time the results have been negative for any molds, bacteria, and yeast.